Meet the mess! Meet the mess! Opponents step on up and beat the Mets! 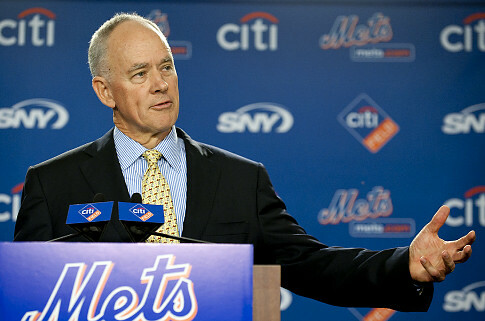 Sandy Alderson needs to be fired by the New York Mets as he has driven this proud franchise further into the abyss. Many people will argue that his failings are not completely his fault, evidenced by the penny-pinching Wilpons whose finances have been in tatters since the Bernie Madoff scandal. Ownership is a major part of the problem, but unfortunately the Wilpons have been adamant about not selling the team. In his four years as the general manager the Mets have been an embarrassment. The Mets under Alderson have a 247-289 record after the Memorial Day weekend. Why does Sandy need to go? There has to be a shakeup to show that losing is no longer acceptable. Despite the money problems, the Mets still have an above average payroll and had money to spend this past offseason. Once again, Alderson did little to improve this team. I won’t even go into the embarrassing state of the Mets bullpen during Alderson’s tenure. It’s been a joke. Look, I understand that the Mets do not have the Yankees money and also believe that developing prospects is the best way to improve but the Mets have failed completely in both regards. They have not spent money, and if they have unwisely, or developed good young players. Let’s look back at Alderson’s track record. Fixing the Mets bullpen? Something that every year Alderson says he is going to do but come April Mets’ fans start praying the second Terry Collins comes to take the ball from the starter. One word, disaster. Bringing in pieces through free agency? If anything the Mets have lost more pieces in free agency then gained. They lost Jose Reyes, a great homegrown piece and waited until the past offseason to open the checkbook. While I did like the Granderson and Colon signings, those were the only two good signing the Mets made. They did not bring in a short stop or capable relievers and instead spent 7.5 million dollars on Chris Young? Chris Young? Seriously? Alderson, Shin Soo Choo and Stephen Drew were available at reasonable prices. Young is an overrated player and has been outplayed by Bobby Abreu who will probably be playing shuffle board in Florida next year. Despite their failure in free agency, the big reason Alderson should be fired is because of his failure to develop young talent. When he was hired that was what he sold Mets fans. He may not be a proactive member in free agency but he sold Mets fans that he would build through prospects. What has he done? Matt Harvey was drafted in the former regime and he’s the only excitement the Mets have experienced in the past four years. Zach Wheeler? A lot of upside but has been spinning his wheels in the majors. Travis d’Arnaud? He’s struggled with injury and hitting as an everyday player. Noah Syndergaard? May need tommy john surgery. While the starting pitching has been a strength there are no major leaguers in terms of everyday players that can contribute. Lucas Duda and Ike Davis have been a disaster at first, there is no shortstop, and the outfield has been such a disaster that the government should be sending the Mets funds. Looking back at Alderson’s tenure the biggest failure was the mishandling of Jose Reyes. Alderson had two scenarios. Sign Reyes long-term or trade him for prospects. That failure not only left the Mets without their dynamic home-grown shortstop, but also without pieces that could be helping them in the present. 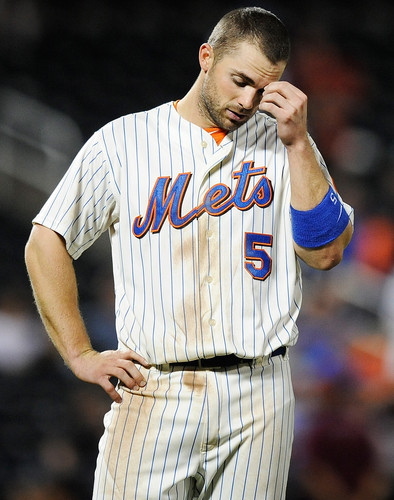 The Mets are a disaster, plain and simple. Not only has Alderson failed to change the roster, but more importantly the culture. The Mets were losers when Alderson arrived and are still losers. In a city with so much passion for its sports teams, mediocrity is not acceptable. New York needs a change. Not only should Alderson be shown the door, but also Terry Collins. Collins deserves much less of the blame, but this organization needs a complete overhaul from top to bottom. That also means the owners, although that will probably never happen. Hey New Yorkers! Are there any billionaires interested in a franchise? Please buy the Mets we need a savior! Ok that was a hail mary, but the Mets should be completely overhauled. Start spending money on players and focus on finding everyday players who can contribute. The Mets may not be any closer to the postseason since Alderson took over, but if they want to take a step forward instead of back tracking into obscurity, he needs to go. The Mets can hire and fire staff and bring in new players, but the most important thing that the Mets need to bring back to their fans the most important thing any professional franchise needs, hope.